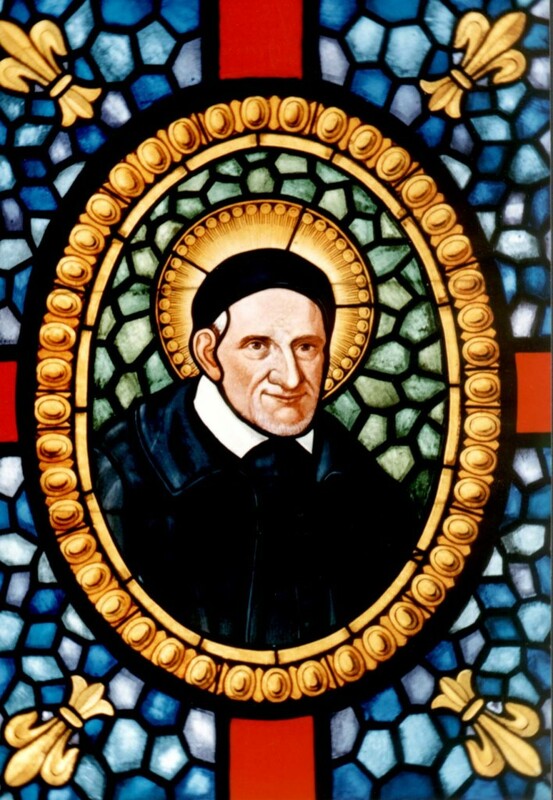 January 25th, marks the anniversary of the Foundation of the Congregation of the Mission by St. Vincent de Paul. Please pray for the new vocations to priesthood and for the growth of this religious Vincentian community. The Congregation of the Mission celebrates January 25th 1617 as its “Foundation Day” but in reality the Congregation was not legally set up until 8 year laters on April 17, 1625. To celebrate the anniversary of the founding of the Congregation of the Mission VinFormation has posted a SlideShare presentation. The history of the Congregation of the Mission (Vincentian Fathers) begins on January 25, 1617. Vincent de Paul (1581) was ordained on September 23, 1600, at the age of nineteen or twenty. In 1612, he was named pastor of Saint-Medard in Clichy, a poor rural parish just northwest of Paris. As pastor, he experienced the priesthood in a way unknown to him to that point, and told the bishop he was happier than the bishop himself, and even the pope. However, in less than a year, Cardinal Bérulle recalled him to Paris to become chaplain to the Gondi family and tutor to their children. In January of 1617, Vincent was on the Gondi estates in Picardy, and heard the confession of a dying man, who told Madame de Gondi that he would have been damned without Vincent’s ministry. She urged Vincent to preach a sermon on general confessions. He did it on January 25, 1617. His sermon produced such a response that other priests were called to help hear all the confessions.Vincent continued giving local missions to the people. Madame de Gondi, seeing the effect of these missions, set aside money for a community to preach such missions on a wider scale, and asked Vincent to find a community able and willing to do so. Vincent asked the Jesuits and several other communities, but none were able to accept this additional apostolate. Vincent went to his old mentor, Father Duval, to share his concern and ask for advice. Duval told him that God was clearly calling Vincent himself to do the work of the missions. Vincent accepted the call, and in April, 1625, founded the Congregation of the Mission to evangelize the poor people of the countryside. However, the day of his sermon on general confession, January 25, 1617, he always recognized as the day of birth of the Congregation of the Mission. Please pray today for new vocation to the Congregation of the Mission. Please also pray for God’s blessings for our priests and brothers – especially those who work at our parish, and for eternal happiness for those of us who have passed away. “Monsieur Vincent said: It was January 1617, when all this happened, on the [[[Feast of the Conversion of Saint Paul]], the twenty-fifth of the month. This lady asked me to preach in the church of Folleville to persuade the local people to make a general confession. I did this, pointing out the importance and usefulness of this practice. I showed them how to do so worthily. God had such regard for the confidence and faith of this good lady (for the great number and enormity of my sins stood in the way of my effecting any fruit) that he blessed this sermon. All those present were moved by God, and came to make their general confession. I continued my instruction, disposing them to receive the sacrament well, and then began to hear their confessions. Even with the help of another priest who was with me, however, the press of those waiting to receive the sacrament was too great. Madame sent to request the Jesuit Fathers of Amiens to come help us. She wrote to the rector, who came himself, but not having enough time available he sent another Jesuit, Father Fourche, to help us in hearing confessions, preaching and catechizing. By the grace of God, these occupations kept us busy.